Stays in Norway up to -70% off To take advantage of these offers, join now for free! 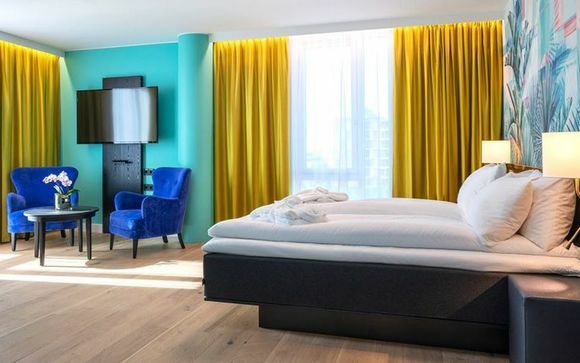 Discover where to stay in Norway and immerse yourself in the picturesque fjords, exhilarating mountain sports, and elegant cities; book unique and luxurious accommodation at Voyage Prive. Though Norway may often be thought of as a land of ice and snow, it has so much more to offer to visitors. 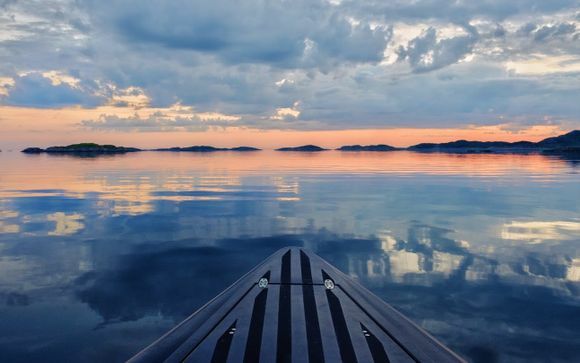 Getaways to the Norwegian capital, Oslo, is sure to convince you of the variety this stunning country has to offer with its fascinating museums, indulgent cuisine, and extensive shopping opportunities. 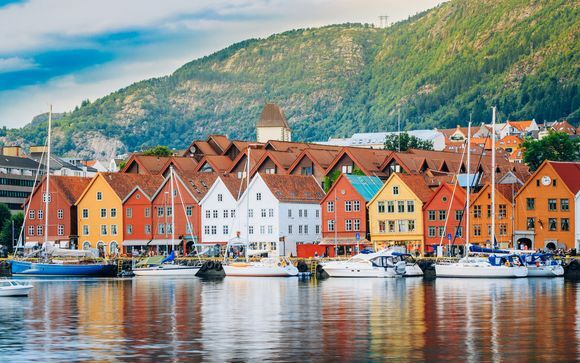 Visit Bergen, the country’s second largest city, to soak up the ambience surrounding the quaint wooden buildings of Bryggen, a World Heritage Site, or consider breaks in the Stavanger region, surrounded by famous hiking trails. Take advantage of our exclusive offers, and explore this remarkable country. 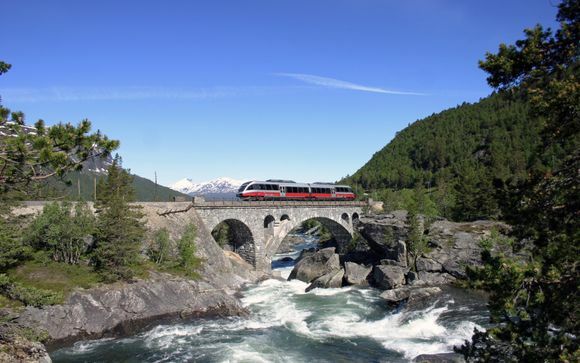 Norway breaks are well known for their idyllic scenery, cut with deep, glacial valleys and winding fjords. The country’s dramatic mountains and cliff faces are truly second to none. There is truly no better place to get back to nature, whether you intend to visit during the summer or the winter months. There are an extensive range of downhill and cross-country skiing options available during the winter, and stunning, well-marked hiking trails throughout the country, which bloom with colour during the summer months. Other sports options are available, with activities ranging from those requiring minimal exertion, to undertakings suited to pleasing those with a thirst for adventure and adrenaline. 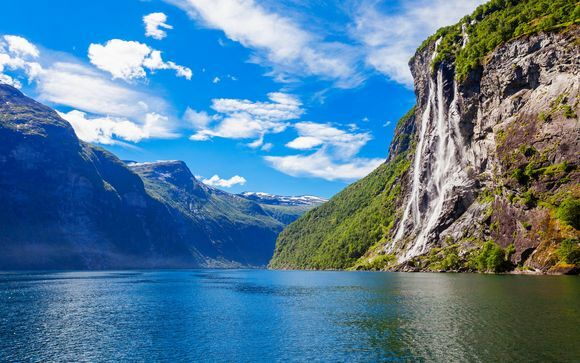 The country is laced with scenic fjords. Whether you’re feeling adventurous, and want to explore the intricate landscape on foot, or would rather view the fjords from the comfort of a cruise, there are numerous options to suit a range of preferences. 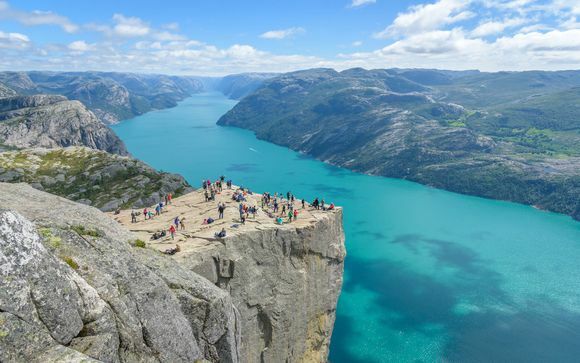 The south west is home to the beautiful Lysefjord, which boasts well-known landmarks such as the Pulpit Rock and Kjerag, while Sognefjord, the world’s longest fjord, runs through innumerable areas of extreme scenic beauty. Norway is home to some truly intriguing museums and cultural landmarks. A visit to one of Norway’s iconic stave churches, for example, is absolutely worthwhile, and offers ambience and a link to the past which simply cannot be found elsewhere. A number of the museums pay tribute to the region’s exciting iron age and Viking history. Others, such as Stavanger’s oil museum, and Oslo’s museums focused on exploration, exhibit far more recent elements of Norway’s national identity. Oslo in particular boasts an extensive range of cultural attractions, including sculpture parks and art museums. Sign up today in order to access our full range of exciting offers! Spain breaks - relaxation, culture and great food!